Changes to Palen Music’s closed-door sale: Bands, put down your weapons! 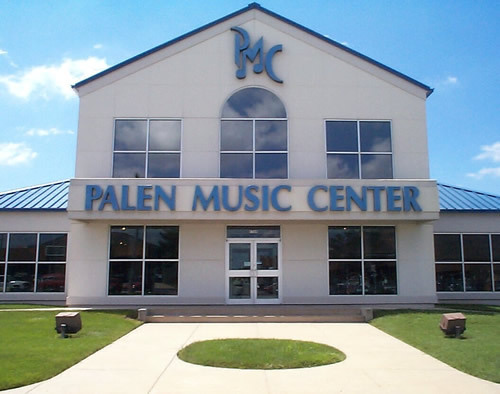 Brandon Welch, director of online sales for Palen Music Center in Springfield, wrote to inform us that there have been a handful of changes made to this Saturday’s closed-door sale. The sale is something of a tradition at Palen, but the store was working in some cool new wrinkles to make an otherwise special day into a mega-event. Well… who’s up for Plan B? We’ll tell you what it is after the break. Welch says the battle of the bands planned to go on simultaneously with the sale will now go on at a later date. According to Welch, the change was made due to weather concerns; the battle of the bands stage needs to be set up outside and Saturday’s forecast looks iffy at best. Instead, the sale will go on with a healthy lineup of local artists performing inside: rockers Shadows Move, country artists Santa Fe and blues/rock tour de force Iron Mike Norton. There will also be barbecue available, as well as a chance to sink a put for $10,000. Watch for the battle of the bands in the near future; in the meantime, bring your wallets and load up. This entry was posted on March 26, 2009 at 1:02 pm and is filed under Looking Ahead, News. You can follow any responses to this entry through the RSS 2.0 feed. You can leave a response, or trackback from your own site.